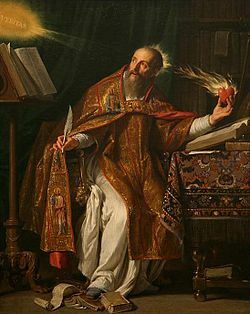 Today is the feast of Saint Augustine of Hippo, Bishop and Doctor of the Church, Patron of the Old Roman Catholic Church, and patron of the Church here in Florida, which was first sighted by Spanish explorers on this day in 1565 (which caused them to sing the Church’s hymn of thanksgiving, the Te Deum. Saint Augustine was born in Tagaste, North Africa on November 13, AD 354 and died on this day in 430). He was Bishop of Hippo Regius (present-day Annaba, Algeria). Augustine was born to a Catholic mother and a pagan father, and despite the constant prayers of his mother, Saint Monica, he was not baptized until the age of thirty-three. His early adult life was spent at Carthage, where he studied rhetoric, dabbled in the Manichean heresy, and lived a less than moral life. Employment opportunities brought him to Milan, where his mother convinced him to meet Saint Ambrose who was the city’s bishop. Augustine was professionally impressed with Ambrose’s speaking ability, and intellectually impressed with the logical coherence of the Catholic Faith. He was baptized along with his son, Adeodatus at the Easter Vigil in 387. Augustine returned to Africa and founded a religious community. He was ordained priest in AD 391, and consecrated coadjutor bishop of Hippo in 395. In addition to duties performed as priest and bishop, Augustine wrote about a wide variety of subjects: from Abortion and Astrology, through Baptism, Biblical interpretation, and Creation, through Epistemology and Grace, to Mariology and the theory of just War. Perhaps his ideas on Grace have had the most effect on us, and played an important part in refuting heresy in his own time, and during the revolt of Luther against the Catholic Church. Those of you who know our history know that his ideas were repudiated by the liberal Jesuits who spread a rather relaxed moral theology throughout seventeenth century Europe. Augustine is often referred to as the “Doctor of Grace,” even as Saint Robert Bellarmine is called “Doctor of Controversies, and Saint Thomas is known as the “Angelic Doctor.” Grace was the most important aspect of Saint Augustine’s scholarship. Augustine’s doctrine of Grace follows a middle way—a “via media”—between two extremes. In Augustine’s time a heretic named Pelagius taught that the salvation of the soul was an exclusively human accomplishment. That is to say that, according to Pelagius, a man could simply set his mind to living a holy life, and in death would be rewarded with eternal salvation. There was no room in the system of Pelagius for the concept of original sin, or for God’s grace assisting man’s free will. On some level, man was simply alone in the universe to work out his salvation all by himself. Eleven centuries later Martin Luther would propound the opposite: man was said to be utterly incapable of doing anything that might merit salvation. Luther said that man’s only hope was through “faith—but what he really meant was through “hope” or “trust” in God, or really, through “presumption” on God’s mercy. Through a mighty act of “faith,” man pulled God’s grace upon himself, “covering” up his sins, much as one might sweep dirt under the rug.  For Luther, good works like the corporal and spiritual works or mercy were superfluous—once a man had made his act of “faith” he was “saved,” and nothing more need be done. Indeed, he is often quoted as saying: “Be a sinner and sin mightily, but more mightily believe and rejoice in Christ.” No doubt, this was hyperbole, and he wasn’t encouraging anyone to sin, but it does give us an idea of his presumption on divine mercy. The teaching of Saint Augustine—indeed, the teaching of the Catholic Church—follows the “via media” between the errors of Pelagius and Luther. Man’s ability to avoid sin was damaged by the original sin of our first parents, but man does retain his intellect and a free will. God sent His only Son to die on the Cross for our redemption, making it possible once again for men to please God, and that God dispenses His grace to help man to do just that. That grace may be freely given, or it may be invoked in the Sacraments which our Lord established for that purpose. Man is both to keep the Commandments, and to do good works—as our Lord said in Saint Matthew’s Gospel, “Amen I say to you, as long as you did these things for one of these my least brethren, you did them for me.” Indeed, Matthew records that fate of those who do not do good works for the love of God is to be “cast into everlasting punishment. Isn’t this precisely what Saint Paul had in mind when he wrote the Epistle we read today: “[T]hey will heap up to themselves teachers, having itching ears, and will turn away their hearing from the truth, but will be turned unto fables.” Men and women cannot be saved without God, nor can they be saved by some grand presumption on God’s mercy. Man must cooperate with God’s grace, doing all that our Lord Jesus Christ has taught us through the Church that He established. May the prayers of Saint Augustine, and his holy mother Saint Monica keep us always on that “via media” that is the Catholic Faith, and which leads men and women to heaven. Cf. Michael V. Gannon, The Cross in the Sand (Gainesville: University of Florida, 1965) p. 24-25.